Last year, one of my more ambitious projects was the Keeping An Eye On... interview series. Targeting the 21 authors identified by SF Signal as Tomorrow's Big Genre Stars back in 2008, I was able to spotlight 19 authors who were on the front end of promising careers. Some had only published short stories; others had several novels under their belts. All had talent enough to garner attention. That interview series was my favorite thing I did last year and I was sad to see it end. All of the authors were so fun to talk to and despite the sterile nature of my first few interviews, I hope that they enjoyed the conversation as well. Now it's two years or so after SF Signal's original (and fairly comprehensive) list and there are plenty of new authors who are worth watching. So late last year I set out to create a follow-up list of more authors worth watching. After all, the To-Read bookcase can never be full enough can it? To find nominees I actually did a fair bit of research, trying to be as objective as one blogger can be. I surveyed the first class of up-and-comers for additional nominations and who they thought might have been missing from the original list. I kept track of a number of message board "anticipated titles for 2010" threads, investigating new authors and keeping a tally of how many times each book was mentioned. I obtained input from several genre giants including Lou Anders and Gardner Dozios, among others. And I read lots and lots of short stories, pulling anthologies off the wall that I hadn't flipped through in years. Finally, I ended up with an excel workbook filled with more lists and tallies than I knew what to do with. Sorting by frequency I was able to establish a list of about 35 strong contenders. After a little bit more careful research, I eliminated a few based on the fact that they could be considered past the "up-and-coming" stage of their careers. 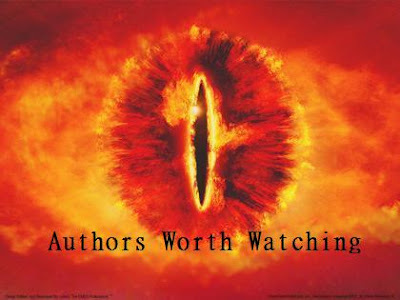 In the end, I was able to reduce the list to 25 authors to worth watching. So without further ado, here are 25 new (or newish) authors worth watching for in 2010 and beyond. Many of these authors I had never heard of before starting this project. Others I had heard of but never sampled. Much like the original list, some authors are just starting their careers and others could be considered close to graduating into the ranks of the established genre authors. I'd like to think there is a good mix of Science Fiction, Fantasy, and Horror on this list and that while not every author might be right for you, at least a few of these authors could be just what you were looking for. So where do we go from here? Over the next week or two, I am going to be doing spotlights on each of these authors, what early work of theirs is worth reading, what work is coming out in 2010 and beyond, and where you can follow their writing careers online. Past that I hope to interview all of these authors similar to what was done with Keeping An Eye On... and cover their 2010 novels where and when I can. I hope that you take the time to check out a few of the authors on this list and find someone new to read. If you don't want to be that aggressive, just keep coming back here and I'll try to give you all the information you need. You've probably heard of several of the authors on the list, possibly even most of them. But if I can introduce you to a new author that soon becomes one of your favorites, then I will consider this project a success. It's why I'm here. Awesome project. Be sure I come back to read and comment! Good list. I'm curious about Ian Tregillis. I've read his Wild Cards work and have an ARC of his debut novel, but I don't know what to expect. I very much like the work of Leah Bobet, Mary Robinette Kowal, and Rachel Swirsky. I'm a huge MRK fan, but I think Swirsky has the potential to end up being one of the more important writers of the next decade (please sell a novel, Rachel - unless you don't want to). She's fantastic and has a small collection coming out in May from Aqueduct Press. Looking forward to reading N. K. Jemisin's debut this year. Also, keep your eye on Genevieve Valentine. Just after I posted my comment I decided to check to see if Swirsky had anything novel-ish in the pipeline. She doesn't. She's never written one much past 15,000 words. So, keep an eye out for Rachel's short fiction - it's really, really good. Very interesting list and one to keep in mind. I read/tried novels from 10 of the authors here and the split is normal - loved the work of three of them (all reviewed on FBC, though only two by me) and their work became asap's from now on, thought "interesting style but very uninteresting subject" about four and all became names to read if they write something I am really interested in, and was "not for me" in style despite interesting subject for three who went on my "avoid list"
I've got a name you should add to the list: Shweta Narayan. I predict good stuff brewing although I think her first book is probably a ways off. You don't have Rothfuss on your list?!?! I think Rothfuss would be considered more established than the majority of this list, if not all of it.